A total solar eclipse will occur over the northeastern Australian coast early in the morning of November 14 local time. Clueless about this spectacular astronomical event? No worries, we've got you covered. We're here to explain what causes this remarkable act of nature, what skygazers will see and how those outside of Australia can join in the experience. 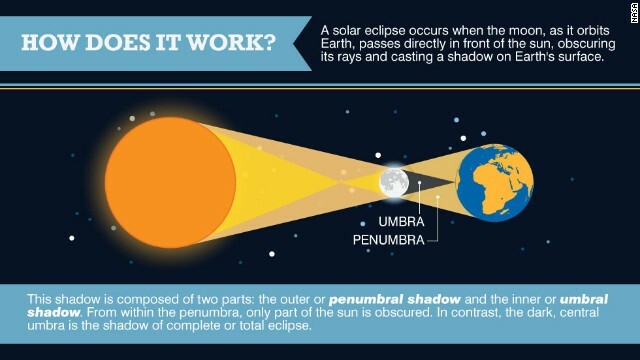 A solar eclipse happens when the moon, as it orbits Earth, passes directly in front of the sun, obscuring its rays and casting a shadow on Earth's surface. Sometimes referred to as a "happy accident of nature," a total solar eclipse occurs when the moon is perfectly aligned with both the sun and Earth, so it appears from our perspective that the sun is completely blocked.